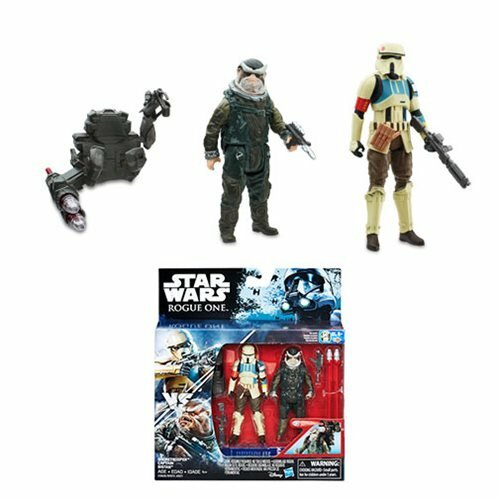 Commentary: Another figure that seems like an existing release at first, R7-Series Astromech Droid is similar to a figure you may have built... but not. The yellow is yellower, the big red eye pops nicely, and the black dome really works well with the silver details running around it. I plopped mine on a yellow R7 body, and boy howdy do I like it! 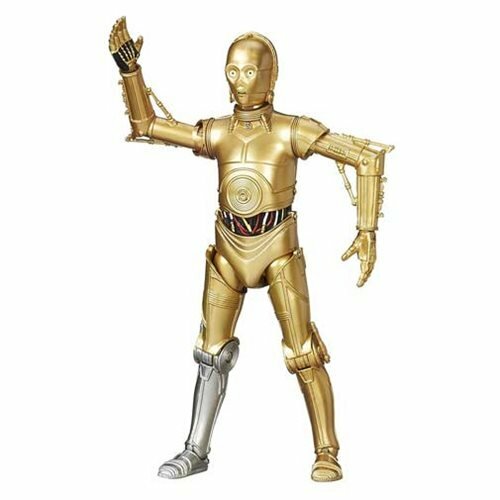 Articulation is normal - 5 points, but hey, we're buying these because we have obsessive lust for droids, not because we want high-grade collectibles. 2008's R7-Z0 is a slightly greener, easier to find, and more robust substitute for this one. (It even included "arm rockets.") R7-Z0 has a few more painted spots on the dome too, but it's also yellowish green. This baby is pure yellow. I really like this figure and at $10, in a normal retail space, would suggest you buy one. 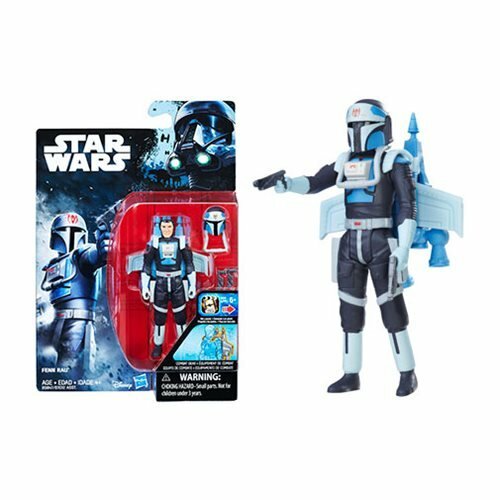 With the Disney Tax it's tougher to wholeheartedly recommend... but as the previous several hundred days may have shown you, I do not make sensible decisions when it comes to my action figure purchases. Collector's Notes: This item was a customizable release at Disney Hollywood Studios in Orlando, and you can configure them any way you wish. In theory. You have to be in Orlando first. 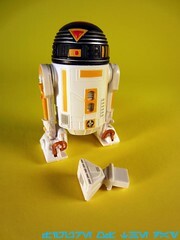 If this droid with the black dome is the yellow R7, what are you going to call the R7 with the yellow dome? Anyway, four more Disney build a droids left for FOTD by my count.